Aug. 14. Her body was found four years later in an old dump south of Stratford. Little clothing was recovered but it is unknown if she was sexually assaulted. jeb or goNgo - can either of you find a more exact location for where Soraya was located south of Stratford? Hi Woodland: Can't help you here. I have the same info as you have. However, an interesting fact I found in my research was that at the time of her death in August of 1970, Soraya O'Connell was living at 19 Bridle Path. And at the time of Margaret Sheeler's death in December of 1963 she was living at 21 Bridle Path. Wow, that makes for a pretty small world doesn't it? So Soraya would have been 8 years-old when Margaret Sheeler disappeared and was found a few months later practically around the corner. I wonder if they were neighbors in 1963? I have read that Margaret's husband was always a suspect in her murder. One similarity is they were both found partially clothed, however that is likely true in so many cases. Soraya was hitchhiking so who knows who may have picked her up. Soraya disappeared Aug 14, 1970. She went to a drop-in centre that evening on Fanshawe Rd, about a quarter mile east of Highbury Avenue. About 10:30 that evening she left the centre and reportedly began hitchhiking home. She never made it. Her skeletal remains were found on sunday May 26, 1974, almost 4 years later, in an old dump site (that hadn't been used in several years) about 5 miles south of Stratford. Her body was found in a desolute bushy area about 40 feet off a dirt road, in a slight depression, and partly covered by a large piece of elm bark (which could have been placed there or simply there by chance). There was no clothing on the skeleton, just a pair of 'cheap earrings'. Identification of the remains was by dental records. When she disappeared, Soraya was wearing a chain around her neck with a small key attached and was also wearing a wrist watch. These items were not found (at least by July 6, 1974). Unfortunately we do not know how Soraya met her death. Hi all..I am new here & have really not gotten up to speed yet on these cases. I do find some similarities though between the Jackson case (solved??) & the English case (unsolved). Both girls were taken from their part-time jobs, found in creeks, in same proximity, clothing scattered, & shoes left together. Just me pondering aloud, wondering if anyone else had an opinion on this? Just a little more to add here from an LFP clipping. Soroya left the drop-in centre on Fanshawe Road and began hitch-hiking. A man, contacted later by police, said he stopped to give her a ride, but when she said her destination was Windsor, the driver continued on his way. Detectives speculate that is was shortly after this, that Soroya was picked up and driven north on Highbury Avenue to Highway 7, then east to where her body was eventually found. As stated in previous posts her body was found 5 miles south of Stratford. The location is further described in the LFP article as being just off a Downie Township Road. The site had previously been a dump site, but had not been in use for several years. Her body was found by a man and his wife who were looking for old bottles; the body was about 40 feet from a dirt road in a slight depression. Her remains - when discovered - were covered by a large piece of elm bark that may have been used by the killer to hide her body; it was also mentioned that a large diseased elm had been cut down there in 1971. Bark may therefore have covered her body by chance. Would you be kind enough to confirm something for me. Originally, it was stated that Soraya left a "camp" at the Fanshawe Youth Centre. I have always assumed that this was the Fanshawe Conservation Area Day Camp, a YMCA property, located off Fanshawe at 1424 Clarke Road (east of Highbury Ave.) near the Fanshawe dam. You and goNgo have stated she left a drop-in centre on Fanshawe Road. There is no Fanshawe Road, and I assume that this should read Fanshawe Park Road. Without ever seeing the LFPress clipping, could you confirm that she did not leave the Fanshawe camp that night? It is confusing isn't it. Edited: Based on the address supplied by jeb, I erased my reference to which way she was hitch-hiking, as it is not relevant. Thanks jeb for the clarification. 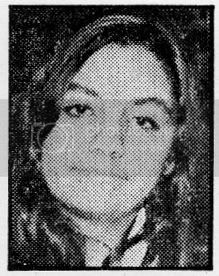 Have Faith: From the London Free Press article dated Thursday, August 20th, 1970, no writer or reporter listed: "She was last seen about 9:30 pm Friday at the Fanshawe Youth Centre, 1455 Fanshawe Rd., where she had been playing bridge." From the London Free Press article dated Wednesday, August 19th, 1970, written by Jim Taylor: "The centre on Fanshawe Road east of Highbury Avenue,..." Hope this helps. Hi Have Faith: Many of the photocopies of London Free Press articles I have with regards to Soraya O'Connell's case, are of very poor quality. They are very hard to read. Because of this, I had hand typed some of them (for ease of reading.) The info I gave you in a previous post was from a hand typed copy, and it is incorrect. The address I gave you was 1455 Fanshawe Rd., and after checking the actual photocopy, it should read 1445 Fanshawe Rd. My apologies. The good news is, when I looked at the actual photocopy from Wednesday, August 19, 1970, written by Jim Taylor of the Free Press, I saw that there is a hand drawn map in the London Free Press article. It would appear from this map that Fanshawe Park Rd. turns into Fanshawe Rd, east of Highbury Ave. (I'm assuming whoever drew the map, also labeled it correctly.) There is also a photograph of a building in the article. The caption underneath reads, "This is the Fanshawe Youth Centre from where Soraya O'Connell, 15, was last seen Friday. Police and family fear for her safety. The building is a former school." jeb, thanks for the info. Today it would be called Fanshawe Park Rd. E., per google maps. Since LE speculate that she was picked up (hitch-hiking) and driven north on Highbury Ave., she would have known fairly soon after entering the car, that the driver was NOT taking her where she wanted to go (home). This suggests that the driver (if solo) had a means to subdue her. This could denote that he was an "organized" killer and came prepared. This area where she started hitch-hiking would have been fairly isolated back then (still is to a degree). I wonder how random it would be to cross paths with an organized killer at 10:30 at night, out in the boondocks? I wonder if the killer also resided on Bridle Path, given that two women who were murdered seven years apart lived in residences virtually next door to one another in a town house complex on Bridle Path. Good research Jeb. Hopefully the recent interest in these cases may lead to solving Soraya's murder! I have always felt badly that Soraya hasn't received as much attention as other victims during this time period. I am thinking of you, Soraya!